Brockton and State Police, as well as a regional task force, swooped into Tex Era (Party Bus) Rental, LLC on Elliot Street late Tuesday afternoon, officials said. Investigators seized more than 270 grams of cocaine and 64½ grams of fentanyl pursuant to a search warrant, according to a Brockton police statement. Most of the drugs were found in an air vent in a trailer on the property. More contraband and cash was seized from a BMW, the statement said. Authorities took three men into custody on various drug charges: Anilson Teixeira, 26, Filipe Miranda, 20, and Giovanni Pedro Fonseca, 25. It wasn’t known if the men had hired lawyers. Suspects Anilson M. Teizeira (left), Filipe Miranda (center), and Giovanni Pedro Fonseca. Filings with the Massachusetts Secretary of State’s office list Teixeira as a manager of the company, which was organized in October. The outfit listed its professional service as “car rental” in a filing. Teixeira wasn’t officially added as an officer of the company until December, records show. 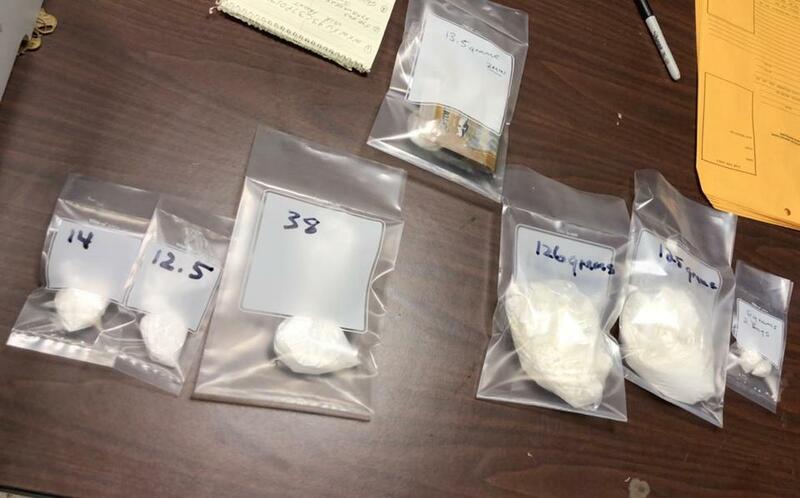 “The city is a lot safer today since detectives took these dangerous narcotics from the alleged drug dealers and away from potential users,” said Brockton Police Chief John Crowley in the statement. His words were echoed by Mayor Bill Carpenter. On its website, the Tex Era company bills itself as an “Entertainment Agency in Brockton” open 24 hours. But no one was working the phones Wednesday morning; a call to the business wasn’t immediately returned.